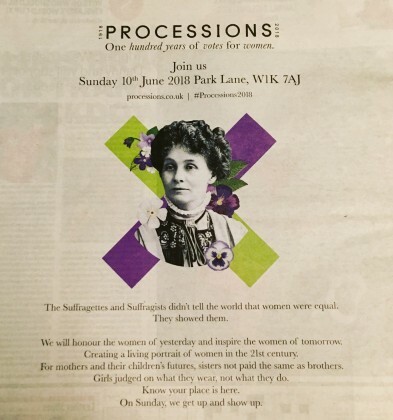 I was one of 100 artists commissioned by Artichoke and 14-18 Now, to conceive, design and make 100 Suffragette banners to mark the centenary of the first women and to get the vote in Britain. 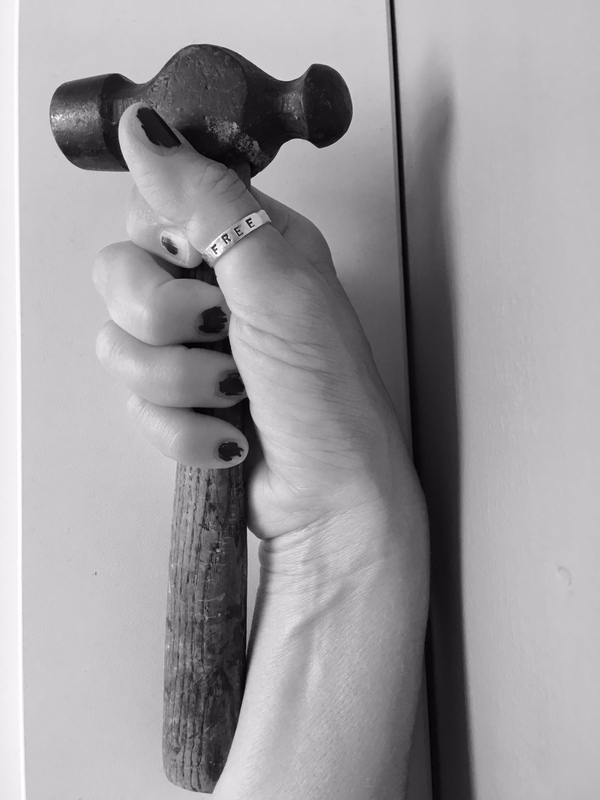 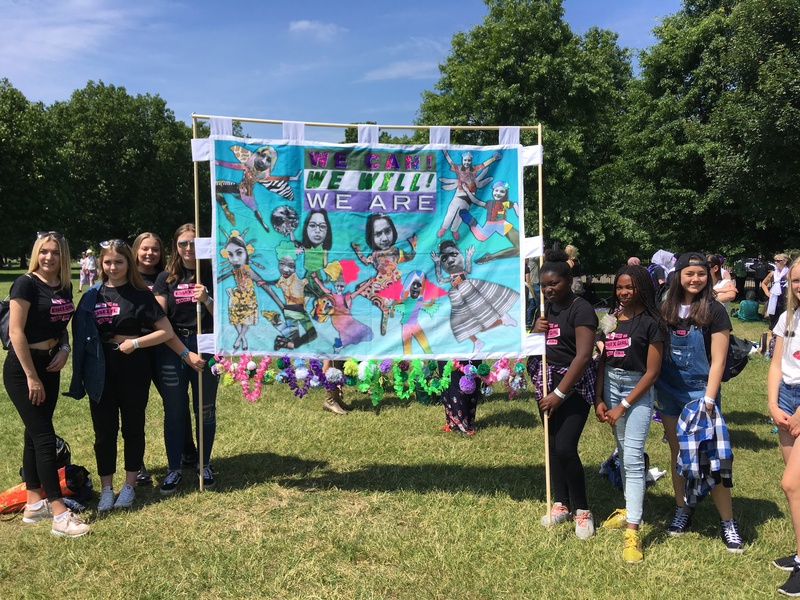 I worked with a diverse range of women including the ‘Essex Girls Liberation Front’ who actively challenge the negative ‘Essex Girl’ stereotype. The banners are to be part of a national touring exhibition around during 2018-19. We took the women to London for the big procession attended by thousands of women from across the country, culminating in a take-over of Parliament Square and a photo opportunity at Gillian Wearing’s new statue of Millicent Fawcett. 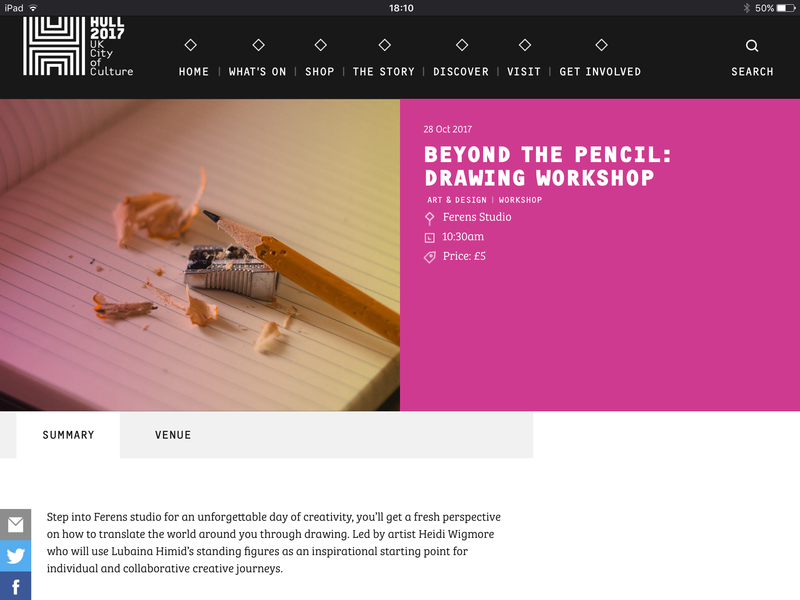 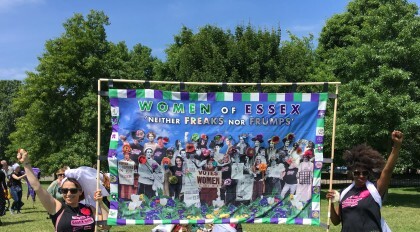 The banners were developed during workshops where women shared ideas and making visual artwork. 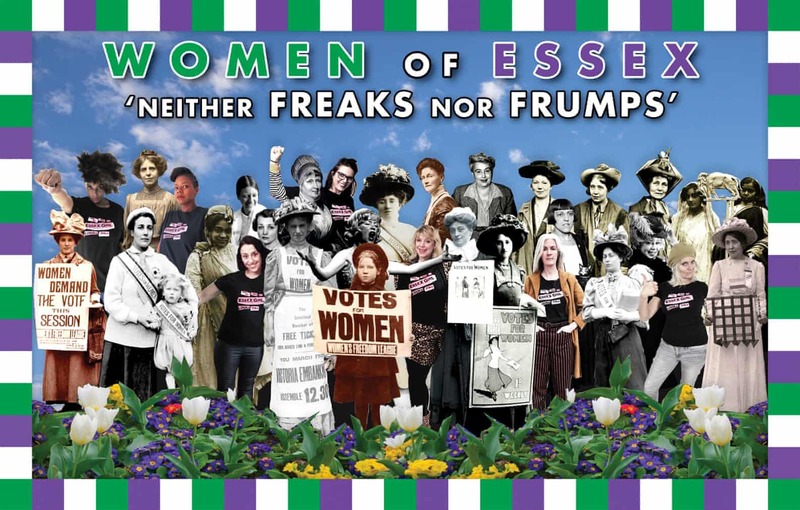 The final aesthetic was appropriated from Peter Blake’s iconic Sargent Pepper album cover which depicted The Beatles ‘heroes’ – in this case the all-female cast of heroines is made up of original Suffragettes and Suffragists, women of Essex who achieved great things in the wider world. 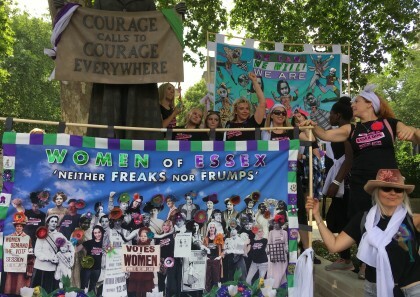 Finally, we included contemporary women wearing ‘This is what an Essex Girls looks like’ Tshirts, the same women carrying the banner on the day. 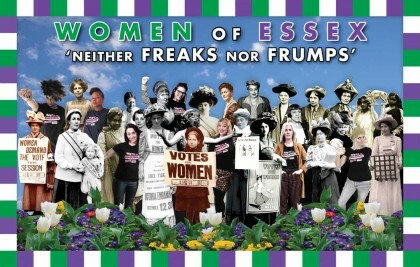 The slogan ‘Neither Freaks nor Frumps’ is a direct quote from an Essex Suffragette, Amy Hicks. It functions as a rallying cry for much maligned Essex Women everywhere and struck a real chord on the procession with women loving the sentiment and taking photos of the banner because they originally hail from Essex.